I know that we’re pretty lucky to even have a playroom. And to be honest it wasn’t in the initial plan for our home until Henry arrived. 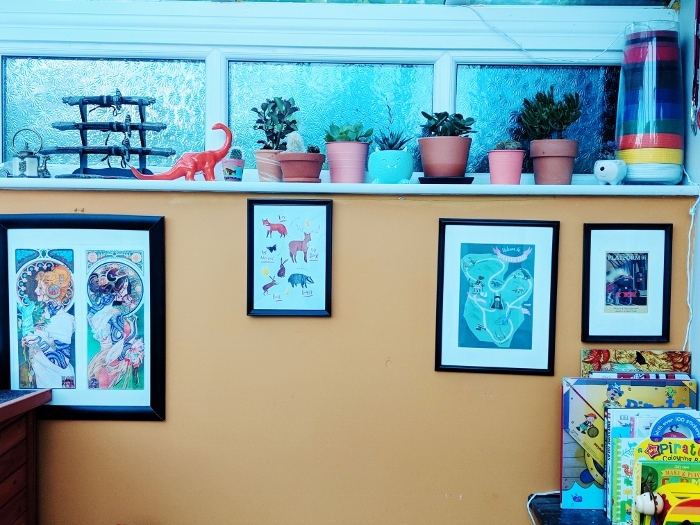 In fact our playroom started life upstairs in what is now Henry’s bedroom (you can read my first playroom post here, and how it’s been transformed into Henry’s room here) and moved to our conservatory late last year. 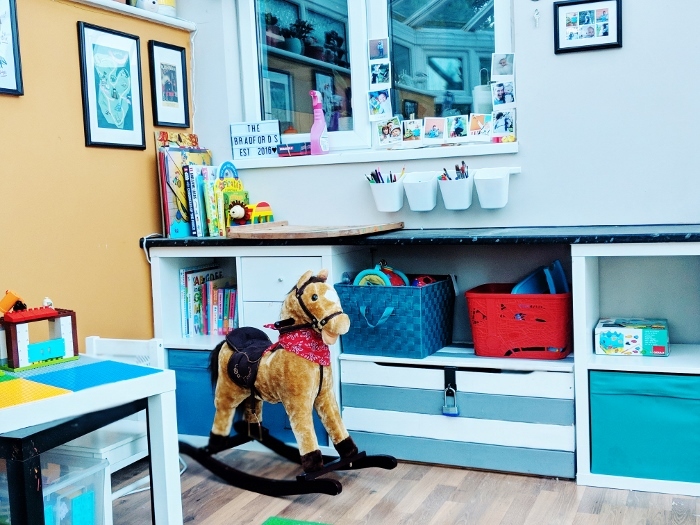 Being able to have a playroom means we can keep some of the toddler mess in one manageable space, and create more adult space in other rooms. 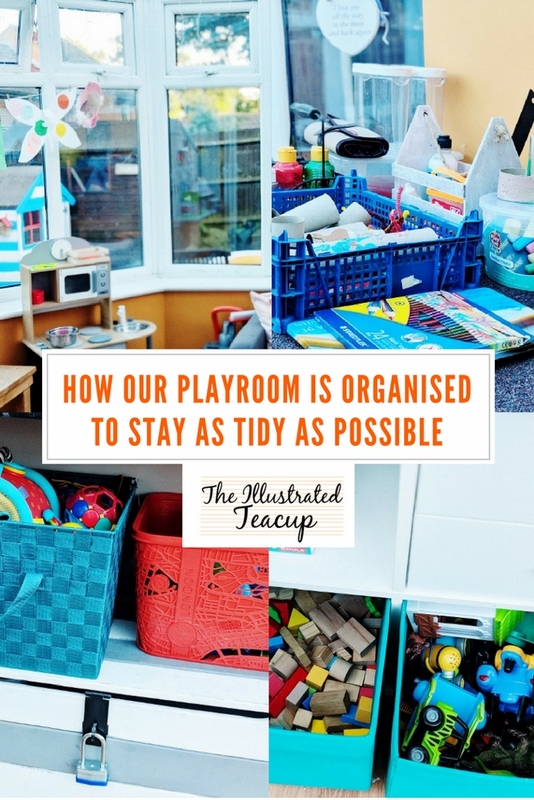 Our living room does still get completely trashed with toys, but in stages, and in the evenings, we can tidy everything away into the playroom and our space is child-free. It’s a nice feeling. 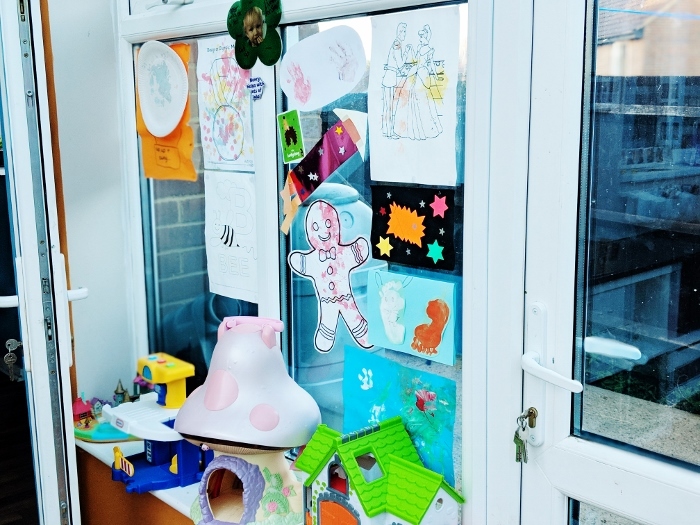 Our aim is to spend more time in the playroom, which leads straight into the garden. We allow Henry to have free reign in both, weather dependent. 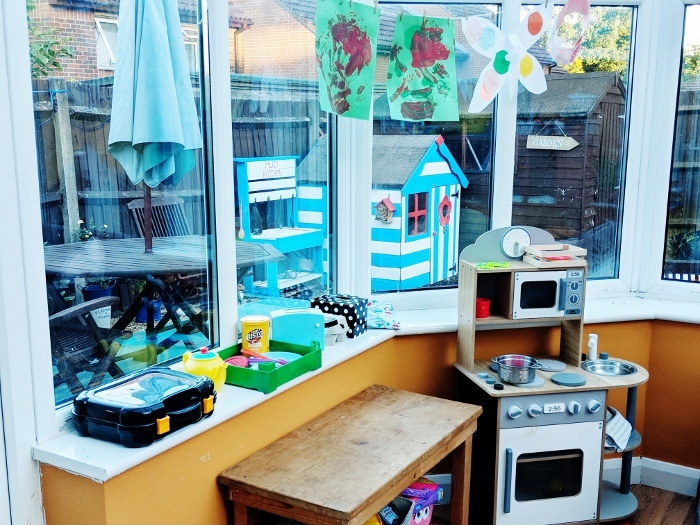 I can also supervise from the kitchen as it looks out into the playroom and being a conservatory means I have full visibility into the garden as well. 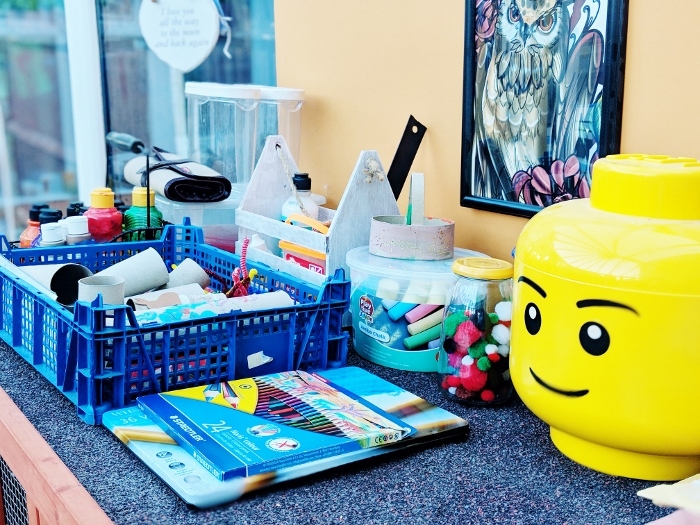 With a new baby, just prior to his arrival, I had a bit of a nesting phase and decided to re-organise the storage in the playroom. I wanted to make certain toys more accessible, others less accessible, and protect specific ones from the sun as we don’t use a full blind system at the moment (OMG conservatories are pricey, hot and I wish the previous owners had installed a decent blind system because it would make like so much easier). First up was relocating my plants and making better use of the high shelf we have built. They used to live on the rabbit hutch, but I moved them up higher and into a corner to utilise the mix of sun and shade. This shelf also holds Dann’s trophies and a few odds and ends that don’t have a home elsewhere. 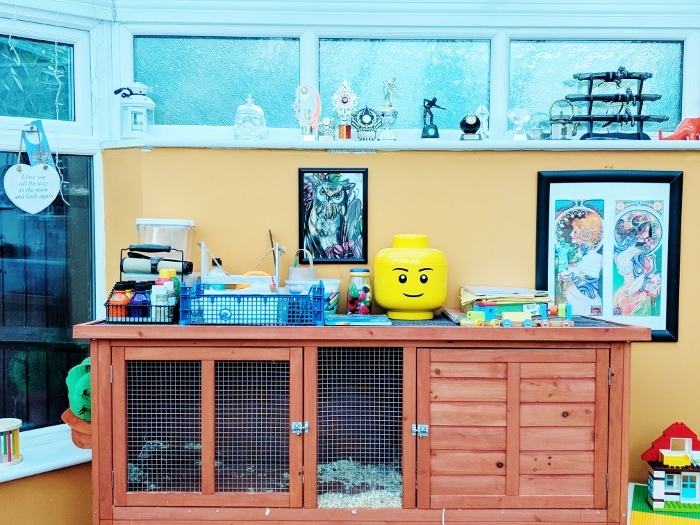 On top of the rabbit hutch is our craft collection. I wanted this section out of the reach of small hands. And being light, it won’t affect the structure of the hutch for the rabbits. I actually really like the set up and feel happier knowing Henry can’t help himself to paint whenever he fancies. 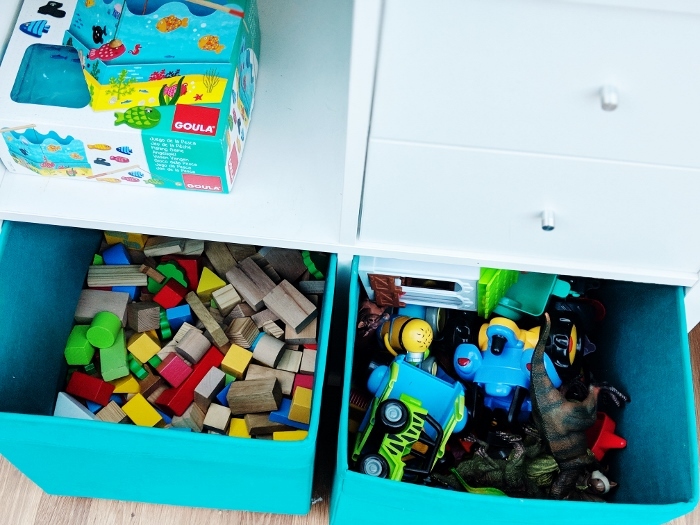 We have a mix of boxes within our Kallax grids, which used to contain cupboards, however I find boxes so much better for toys. We try to stick to a them for each box i.e. plastic mini figures (Happyland etc) in one box, wooden blocks in another, Duplo in another. It means we can segregate different play and not mix up too much stuff all at once. 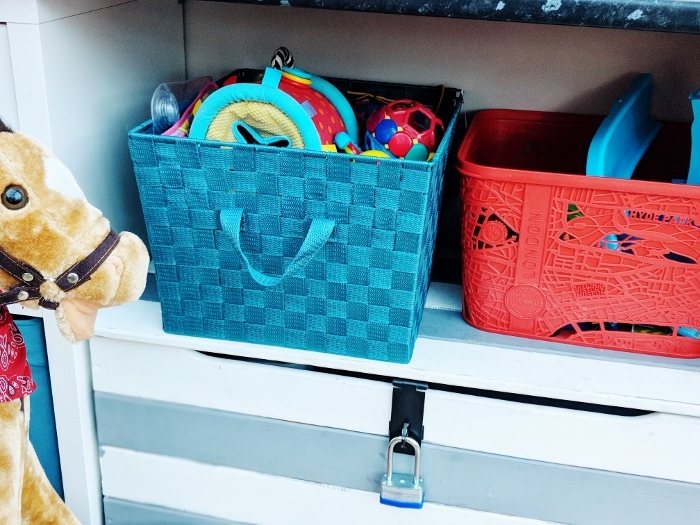 It’s also meant we can move our car box and the new basket filled with baby toys to sit under our worktop, which should help stop any sun damage. 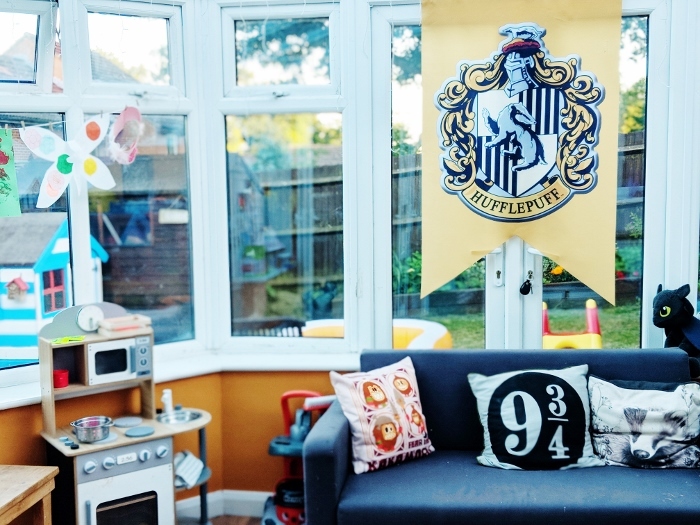 Of course we also have sections for all our books that live downstairs (there are far more in Henry’s bedroom) and then a separate section of the room for role play toys included the play kitchen and cleaning station. Tidying this room is so easy now that everything has a home, and the hope is that having simple homes for everything will make it easier to include the kids in tidying each evening too. It also means that Henry can grab toys that he wants if I’m occupied elsewhere, and I don’t have to worry that it’s unsafe. 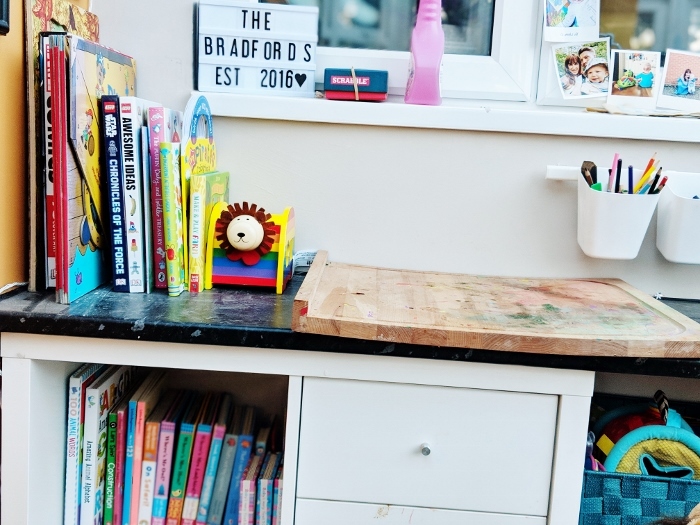 We’re always on the lookout for new storage solutions and ideas so hit me up with your top tips too! "Seaviews and Country Parks – The Ordinary Moments"